Software engineer. Inventor. Mother of toddler twins. Nerd puller of late night coding jags. And, at 32, the most prolific female inventor at IBM with more than 150 patents in areas such as mobile, data, and cloud, to my name. I’m one of the faces of innovation at IBM. One of my patents is U.S. Patent #8,694,777: Securely identifying host systems, which enables more secure identity control in cloud computing environments. The patent was among 7,534 patents filed by IBM last year, making it the first company to exceed 7,000 patents in one year and marking the company’s 22nd consecutive year as worldwide patent leader. Patents are key to my company’s strategy, not just because they’re proof of unique ideas, but because they’re the platform for the future inventions that drive the success of our clients, business and industry. Because none of us work alone. Innovation comes from the spark of an idea. Yet, we all build on top of the innovations that other tinkerers before us have come up with. Which is why we’re all encouraged at my company to become inventors and why there is such a buzz around creativity. As a 22-year-old new hire at a large multinational company, I was definitely intimidated when it came to getting started. But the excitement of becoming an innovator, and the contagious feeling I got from my colleagues that I could do just that quickly turned me into one. I was hooked. There’s not a better feeling than coming up with creative solutions to real problems that other people find valuable. And in fact, all of us can experience that feeling these days. With open source, crowd funding, and easy-to-use apps for developing software and electronic gadgets, we’re seeing a massive leveling of the playing field when it comes to innovation. Staying curious, supporting other makers, and taking a risk on our ideas will make those napkin ideas a reality. I encourage everyone to share their ideas with the world. I’m an inventor, a brainstormer, a tinkerer. And I’m proud to be part of one of, if not the, most innovative companies in the world. The creativity of my colleagues inspires me everyday. And the wave of inventiveness online sparks my imagination. More innovation will help all of us have more productive, more fulfilled lives. And it’s just plain fun. Watch Lisa Seacat DeLuca’s TED@IBM video. Lisa Deluca, an Omni-Channel Technology Strategist and Master Inventor at IBM, first heard about an interesting program at the University of Texas at Austin (UT Austin) through her colleagues at work. As one who was trying to decide between pursuing an MBA or a Master’s in Technology, DeLuca was delighted to hear that The Master of Science in Technology Commercialization (MSTC) fused these two worlds tougher. UT Austin has, in effect, built their MSTC program to combine business, technology, and innovation into a one year program at The McCombs School of Business. Specifically, it focuses on preparing participants for the intersection of these worlds in their future careers. Students like DeLuca meet on alternating weekends, either in person or telecommute in video software like Skype, to learn the business skills needed to compete in a global economy while continuing their full time jobs. Fusing entrepreneurship with education, the MSTC Program’s main aim is to help their students create innovative ventures and products. Officially launched in 1996, the MSTC program has remained committed to the idea of getting a relevant degree into the hands of their students for 18 years at this point. The hope is that these students, in turn, might one day drive innovation on their own terms. Students are taught how to identify and evaluate technologies with market potential, develop and present business plans, and profitably launch innovative products into the market. On average 80 students are accepted every year, with 50 percent coming from entrepreneurial backgrounds, 40 percent are corporate innovators, and 10 percent inhabit the tech commercialization space. As a remote student out of San Francisco, DeLuca would join the class every other weekend with about 20 percent of the other students, who were also remote. It was just like a real classroom where she had to be on time and participate, lest her grade suffer. Despite telecommuting, she was still able to tap into the best parts of the program, one of which, according to DeLuca, was that she could find the right people to ask her questions to. Traditionally, that’s a tough thing to do, but when DeLuca got access to an entire network of mentors and faculty through the MSTC program, the problem was all but diminished. Of the class participants that graduate in May 2014 there have been 14 ventures launched. Two graduates even went on to be in the Texas Venture Labs incubator, based at UT Austin, and another graduate founded Beyonic to bring mobile payments to Africa. Sure, there’s homework and you have to be engaged during class time, but as DeLuca says this is a unique experience you can’t get from other university programs. You’ll get to interact with different people, hear different stories, and embed yourself into the lives of people you might never have otherwise met. Applications are currently open for the program, but they’re close on February 18, 2015. So, if you’re anything like DeLuca and you’re considering an MBA, a Master’s in Technoloyg, or anything similar, you might want to consider getting on board with the MSTC program. 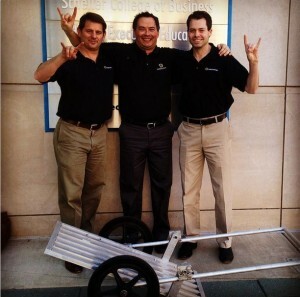 It was quite the winning weekend for the Texas MSTC Program! Our students took home victories in not one but TWO business plan competitions, as well as one second place finish. Last week 20 teams in five divisions competed in the Texas Venture Labs Investment Competition, including 10 from UT’s MBA programs, six from MSTC, and four from PhD programs. Three MSTC teams were selected to move on to the final round of five teams, with MSTC team Flipped Health taking home the first place win and MSTC team DraftCrunch clutching the runner up position. 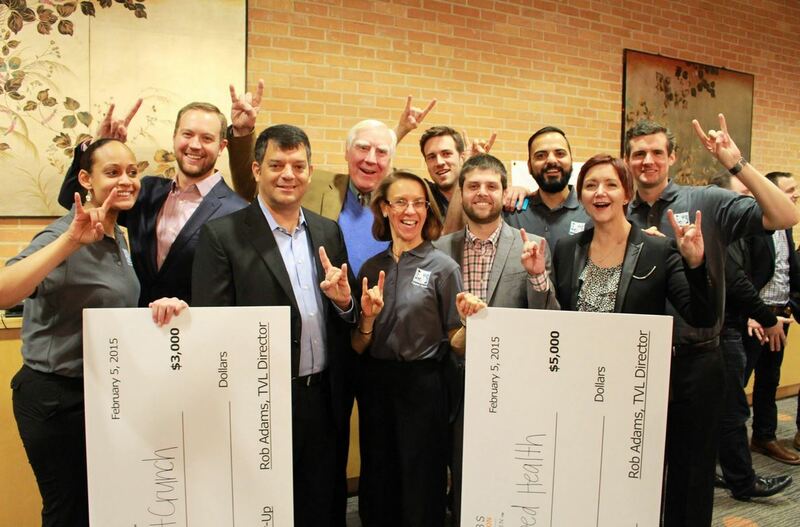 Flipped Health will represent The University of Texas at Austin in the Global VLIC in May, incubate at ATI for a year, and receive $5,000. DraftCrunch will receive $3,000 to invest in their venture. The celebrations don’t stop there! Texas MSTC team Colter Durham claimed a first place victory at the Georgia Institute of Technology’s Georgia Bowl Business Plan Competition. 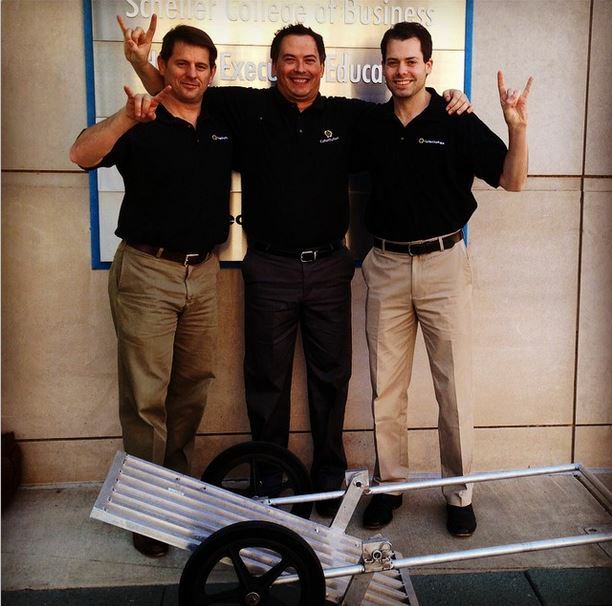 They’ll be carrying their $10,000 prize home in their ingenious Stow Cart, and will be joining MSTC team Flipped Health in the 2015 Global VLIC. Congratulations to all of the Texas MSTC teams that competed this weekend. We’re glowing with pride. Hook ’em!